The roots of HVC Asunnot go back to 2005, when the Finnish family business Hotel Vip Club International Oy was founded. Our aim was to provide small and medium-sized enterprises with the kind of hotel accommodation usually only available to big companies. 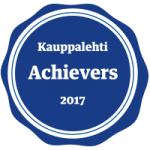 This was a challenge, but we succeeded in providing the Finnish market with an exceptional hotel benefit product. There our corporate customers received half-price accommodation in HVC partner hotels. 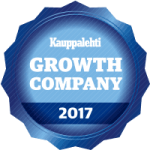 These days, HVC has over 2,000 satisfied corporate customers and the concept has worked well for over ten years both in Finland and abroad. The idea for HVC Asunnot actually came from our customers’ requests. Our customers’ stays were becoming longer and longer and there started to be more and more requests for more home-like accommodation. We decided to run the gauntlet and respond to these requests. HVC Asunnot started its operations with one apartment at a time. Our first studio flat opened on Saarenvainionkatu in Tampere in 2014. From here, we started to expand, and have grown our offering one apartment at a time. At the moment we offer furnished accommodation throughout the country, from Hanko to Inari. Our customers have been very satisfied with our pleasant dwellings and our flexible way of working. Our story is just beginning. An apartment and a night at a time, we continue to serve our customers and grow our business.